Vividh Bharati advertising is a fantastic medium for local advertisers as it allows them to reach out to the local community in a highly targeted and cost effective way. Brand building requires broad reach and involvement: Offering scale with lower entry cost and greater regional flexibility is a huge selling point for Vividh Bharati FM, and one that isn’t really exploited by many advertisers. Book Vividh Bharati FM ads online today. 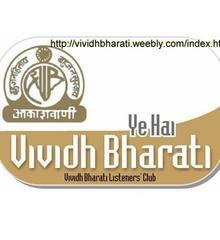 Vividh Bharati Radio is owned and managed by the Government of India through All India Radio. It has been broadcasting since the late fifties featuring music and entertainment 24 hours a day. The station hosts musical shows, dramas, talk shows and interactive programs. Advertisers can place their ads in a staion that cover near about 97% of the Indian population. Advertisers will be able to reach out to all the tiers as Vividh Bharati Radio notable presence in both metropolitans and towns and villages. Advertisers can place their ads in some of its most notable programmes such as Udaipur Ki Train, Trivenee and Chhyageet. Advertisers can also get RJ Mentions from main RJs such as RJ Amar Kant Dubey, RJ Rajendra Tripathi and RJ Kamal Sharma. Prime Time: These are morning or early evening slots when most of the audiences are listening to the radio as they commute. Vividh Bharati Radio Advertising rates are usually higher than the other slots. Non Prime Time: The time-band in which the viewership/ listenership is relatively low as compared to prime time. Vividh Bharati Radio Advertising cost is usually the lowest. RODP (Mixed Time): Ads gets placed in equal slots between morning peak, evening peak and non peak. Vividh Bharati Radio Advertising rates are usually moderate. Ad Booking Deadline: Advertisements can be booked a day prior to the execution day, if the brands looking to advertise are ready with their creative and agree with the final Vividh Bharati Radio Advertising rates. Vividh Bharati Radio Advertising rates will vary depending on time of year, time of day, how well the station is doing in the particular geography a brand is trying to reach. The busier the time of year for radio station, the more a brand can expect to spend on Advertising.